Emoji began in Japan in the 1900’s and was used by people in visual information to communicate with others. This was convenient and interesting way to show people’s emotions which made emoji became more and more popular around the world. Because emoji is ubiquitous and its impact on popular culture is increasingly big, using them in videos is now fashionable. Actually, adding an appropriate emoji to a video can help highlight its theme and, at the same time, make the video much more appealing. Though nowadays people are familiar with different meanings conveyed by an emoji, many people are curious about how to add emojis to videos. 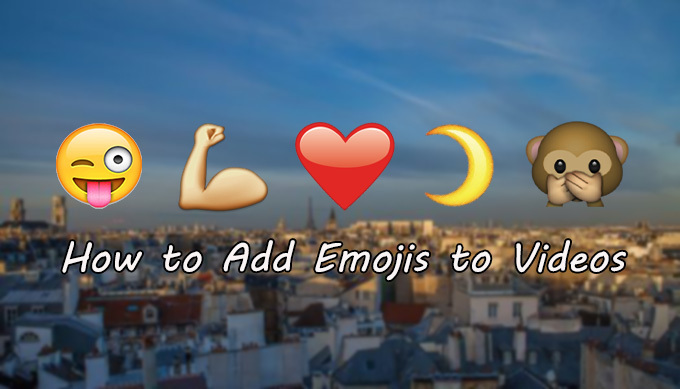 Therefore, this post will introduce some ways for you to add an emoji to videos. Apart from searching emojis in the Google image library, you can also find the latest emojis on other emoji websites. 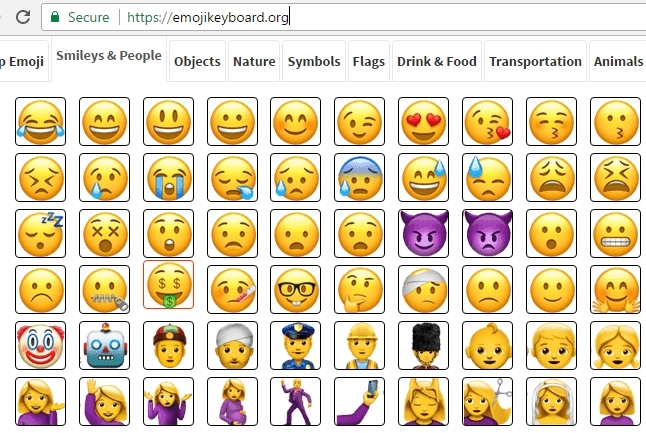 For example, emojipedia.org is a site which offers thousands of emojis for you. This allows you to download various emojis according to the emoji category list. What’s more, from this site you can find the latest emoji lists or news which refers to emojis. So if you’re looking for the novel ones and willing to add emojis to videos later, you can find your preferred emojis from emojipedia.org. According to the research of an Oxford social professor, emojis in different countries can convey different meanings. Because of this, before using an emoji in a video you should research the real meaning of certain emoji, or at least choosing the one you are familiar with. For example, as an emoji originated from Japan, Shiba is widely used on the Internet. Though on the surface it only means a breed of dog in Japan, at a deep level it usually means: “I despise you”, “I am innocent” or “I have no idea about what you are saying”. Many emojis can convey different meanings in different backgrounds, so you’d better be careful before you add emojis to videos. When downloading an emoji from the internet image library, it’s better to choose one that is in PNG format. PNG format has a transparent background, so if you download a PNG emoji, you can use it later without editing. 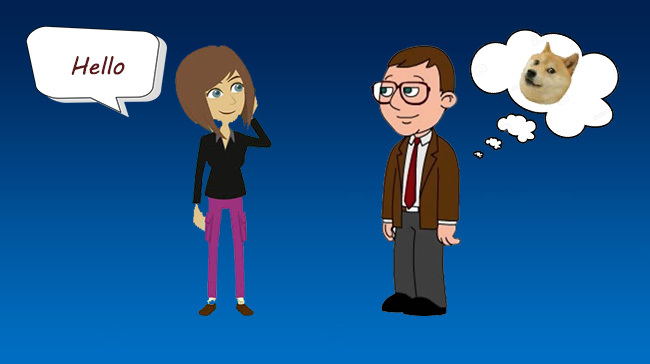 After you have chosen your preferred emojis, we can start to add them to videos. 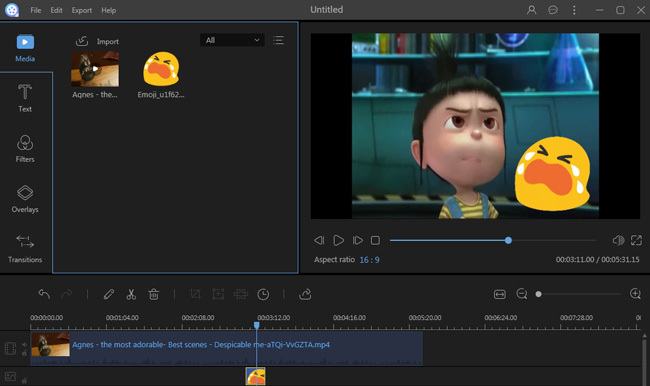 ApowerEdit is one of the excellent video editors which can help us not only add emojis to videos, but also edit the video further. To learn how to operate this tool, you can check the instructions below. Launch the program and then import the emoji folder. Right click the emoji in media library and then choose “Add to Project’. Right click the emoji in track and then choose “Edit”. Once you’ve added emojis to a video, you can touch up the video by using ApowerEdit. 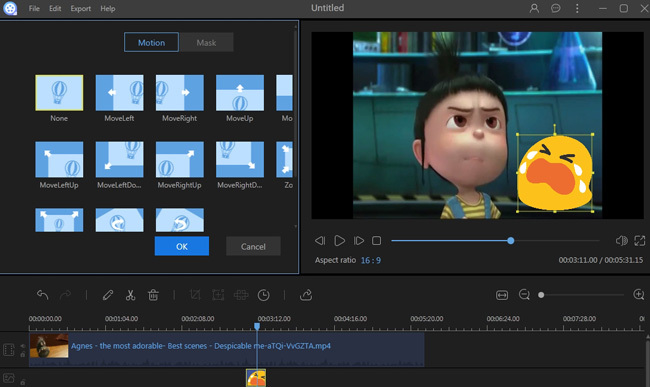 In fact, being the all-around video editing tool, ApowerEdit enable users to do all the basic video editing jobs. This includes things such as trimming, cropping, adding music, picture, overlay and so on. Therefore, it can be a good option for you if you’re looking for a good video editing program. After reading this post, we hope you can get a good idea of how to add emojis to videos and then take action to make one. All of the tips suggested above are quite efficient, and the video editing programs mentioned in this article are all easy-to-use. So why not have a try now!